I returned to Sonoma County to re-photograph a few bridges that had changed since I last visited in August 2014. The State Route 101 Bridges across the Petaluma River confused me when I first saw them. I eventually figured out that the two 1955 bridges on single column bents (shown below) were being replaced with a single T-girder bridge on three column bents (shown above). 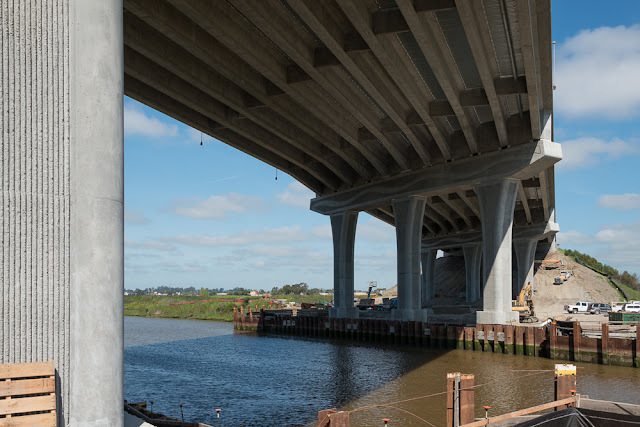 The new bridge has a lot of architectural details (flared, ribbed columns, wavy lines representing the river on the bent caps, haunched girders, etc.). 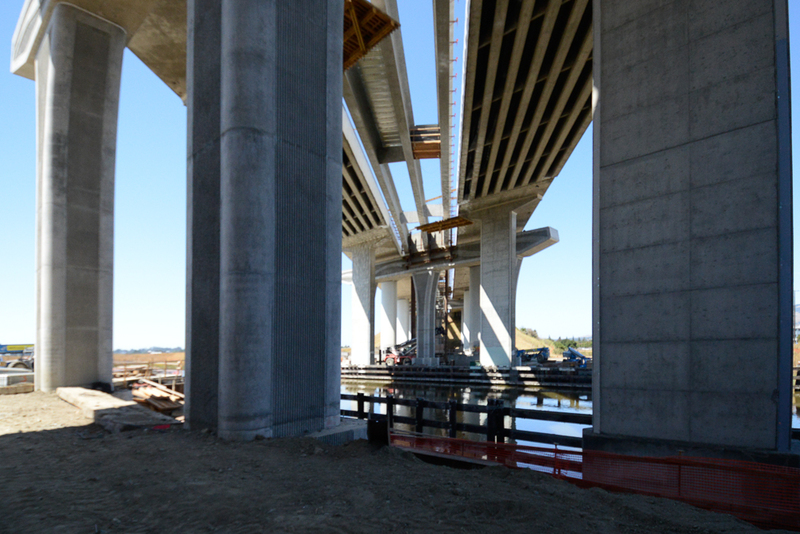 You can see the lost falsework (for pouring the deck) between the T girders in the photos above and below. Sonoma County, California Bridges: State Route 101 Bridge across the Petaluma River (2) by Mark Yashinsky is licensed under a Creative Commons Attribution-NonCommercial-NoDerivatives 4.0 International License.